The Astronomer and I went on a double date to the Santa Anita Mall. And no, our parents didn’t drop us off. ? 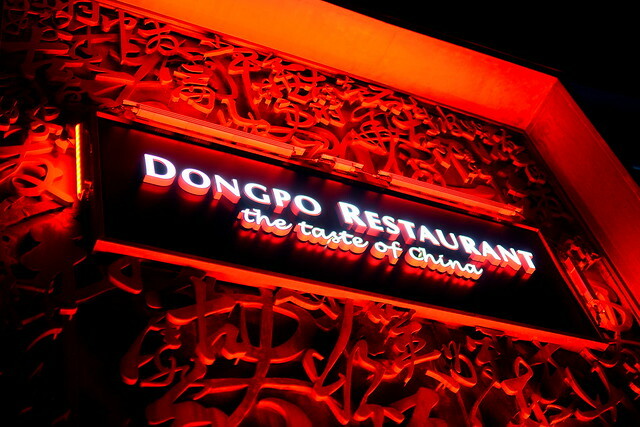 We met up with Will and Louise for dinner at Meizhou Dongpo, the second U.S. outlet of a Beijing-based Sichuan restaurant. Without our little gals in tow, we were able to fully take in the polite service, fancy atmosphere, and numbing peppercorns. 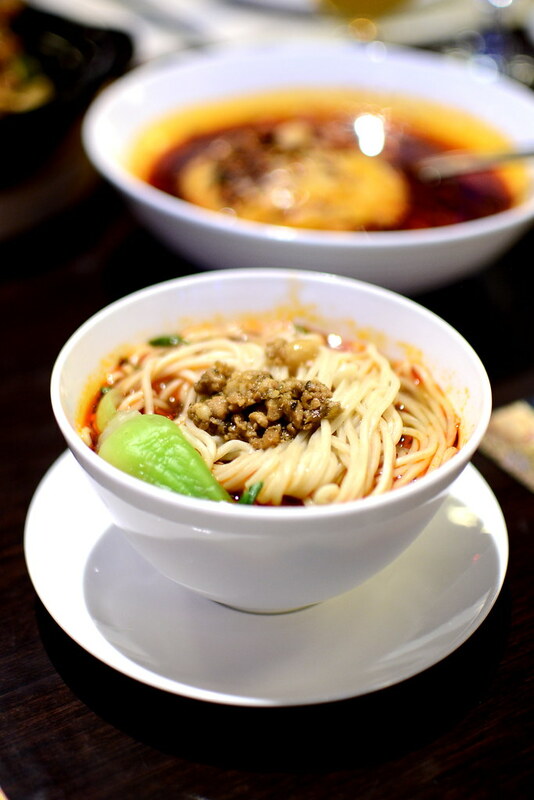 Even though the restaurant isn’t know for its dan dan mian ($3.60), I couldn’t resist ordering a bowl anyway because they are my favorite Sichuan specialty. The version here was perfectly slurp-able, but nothing extraordinary. 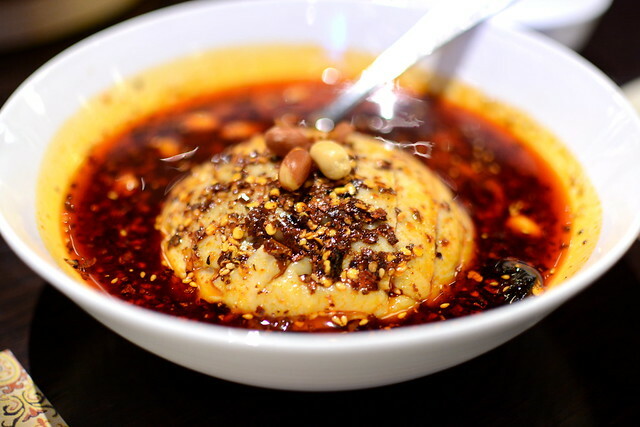 The bang bang ji ($11.80), on the other hand, was certainly something with its tender chicken bathed in chili oil. The balance of spice, both heat and numbing, was right on point. With a vegetarian at the table, we made sure to order a number of meatless dishes this evening. 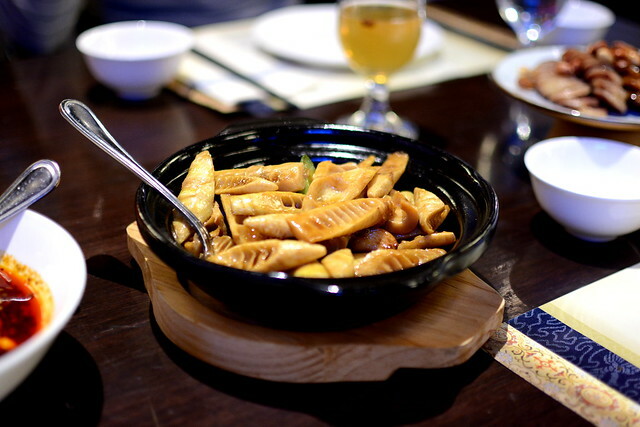 The bamboo shoots ($13.50) were the first to arrive. Simply seasoned and ideally snappy, the bamboo shoots offered a welcomed change of pace from the more assertive dishes at the table. 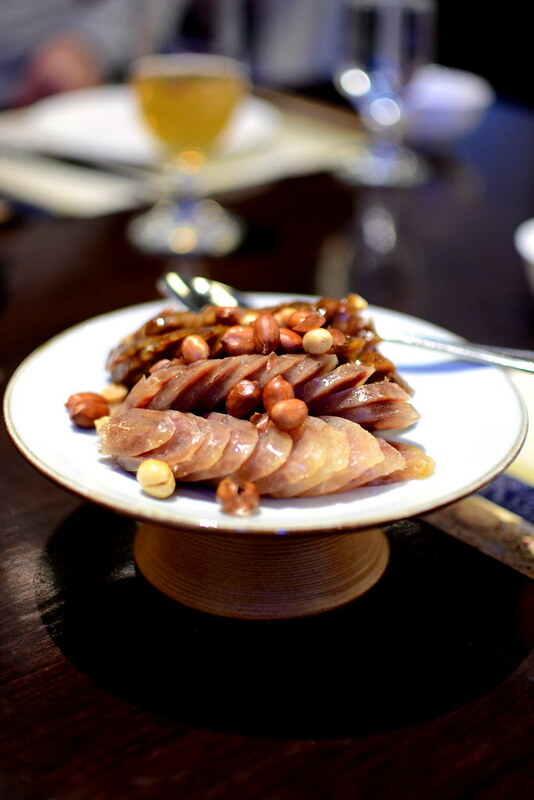 Hands-down, my favorite dish of the night was the sliced Meizhou Dongpo sausage ($19.80). We were presented with three varieties, each with different degrees of fat and spice. The best of the trio fell in the center of the spectrum—neither too lean nor too fatty and spiced just right. 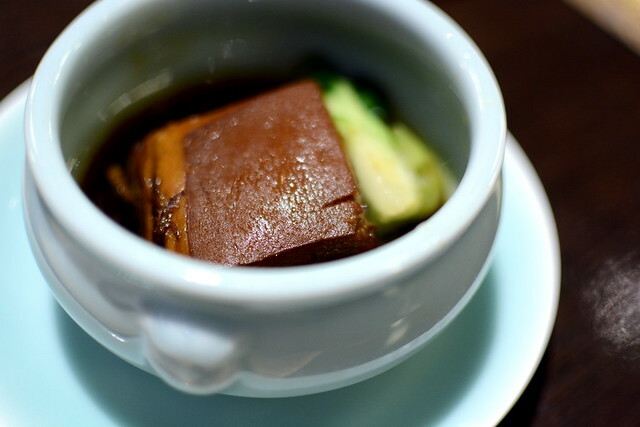 Also on deck was the “Classic Dongpo Pork” ($6.90)—a sweetly braised hunk of belly dressed to the nines with crispy skin and soy-caramel sauce. 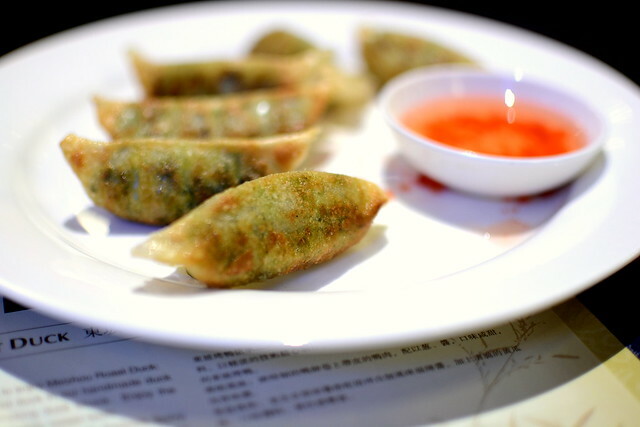 … as were the vegetarian potstickers ($5.50) with sweet and sour sauce. Louise’s favorite dish from an earlier visit was the Sichuan-style fried chicken ($18). While the la zi ji wasn’t as good tonight in her estimation, we liked the crispy chicken nuggets, lightly glazed and punctuated with salt and Sichuan peppercorns, quite a bit. 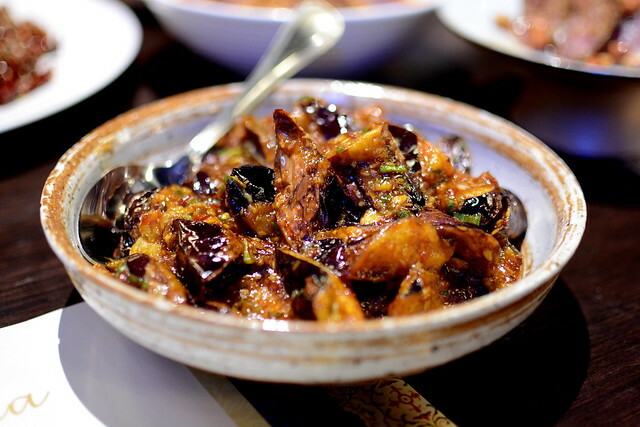 The “Eggplant in Garlic Sauce” ($13) was homey and satisfying; the eggplant soaked up the sauce like a sponge. 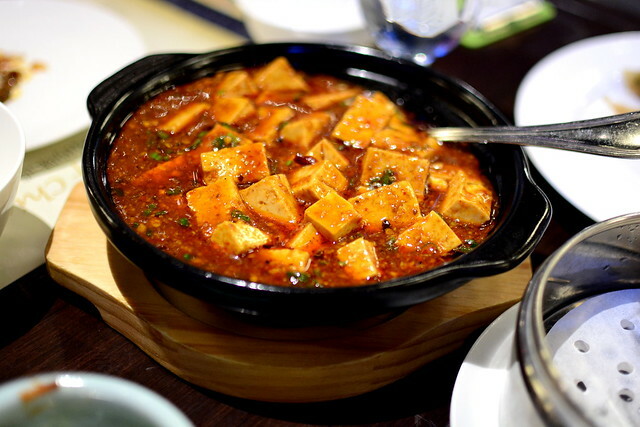 The final savory on the scene was the vegetarian mapo tofu ($15). Heaped atop steamed white rice, this dish was as comforting as the one that preceded it. 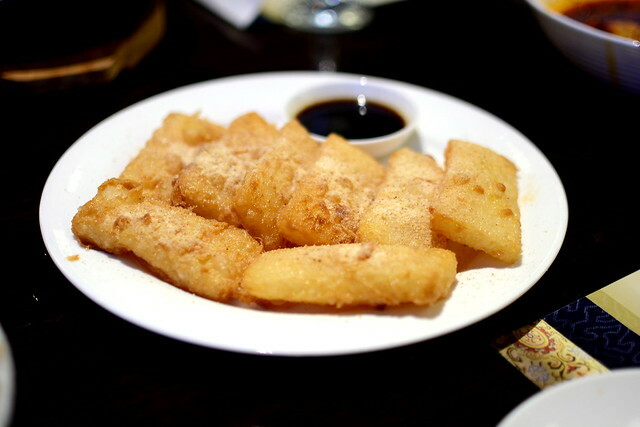 To finish, we shared the sugar-dusted “Crispy, Sticky Rice Cakes” ($7.80)—a sweet finish to our Sichuan feast. 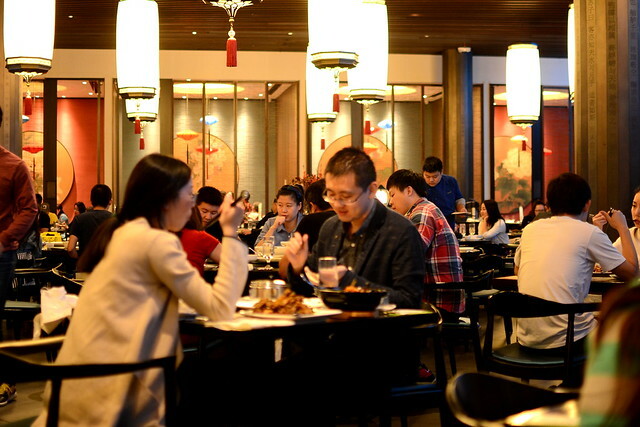 Meizhou Dongpo sets itself apart from the Sichuan pack with its swanky dining room and savvy service. 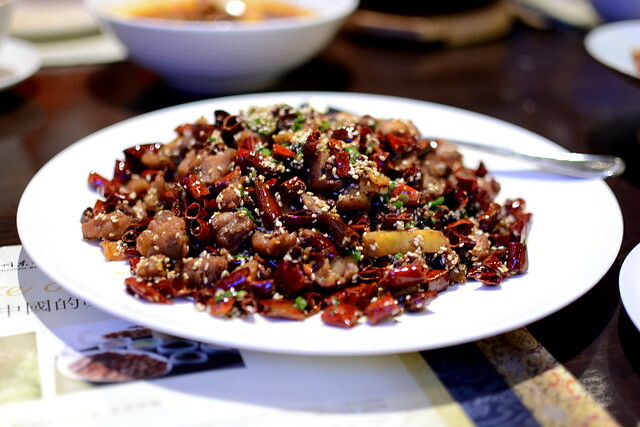 While the food was very good this evening, especially the sausages, it wasn’t as exceptional as our Sichuan standbys Chengdu Taste and Szechuan Impression. 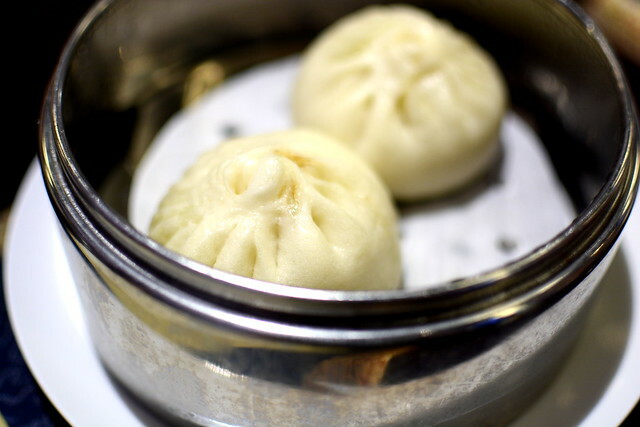 Still, I wouldn’t hesitate to return for a bite the next time I’m at the mall and hankering for numbing spice.